Using the experience and skills of Advantage Book Binding’s expert craftsmen and women, Advantage Book Binding performs book and Bible repair and restoration for personal, family and communal books and Bibles that have been much used, weathered or time-worn. Because books are so durable they become very special members of our household and eventually heirlooms. They are not invincible, however, and can become worn down with age and use, accidental damage, and exposure to harsh conditions or weather. Advantage Book Binding can replace, often matching the original if desired. Personalize your book or Bible with your name by foil stamping or embossing it on the cover. Custom additions or restorations can also be made to accommodate customer preferences. These can include changing the end sheets, adding ribbons, or creating a customized imprint on the cover and spine. A customized slipcase or clamshell box can also be made especially for the book. Some books may be personally significant or fragile antiques but otherwise undamaged. Advantage Book Binding can make a matching slipcase or clamshell box to protect these books so they can remain safely in your collection for years to come. 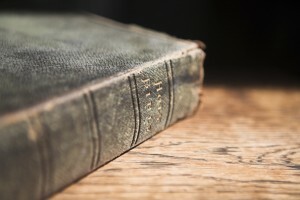 Bibles, and other religious books like prayer books and hymnals, are unique books for families and communities, many often passed down for generations. 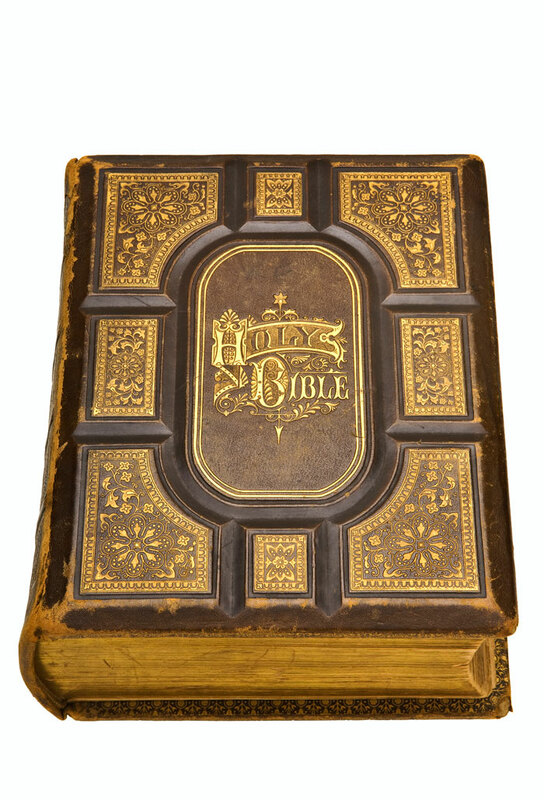 Advantage Book Binding understands how treasured these Bibles are and is prepared to find the right solution for your Bible repair needs, whether it is replacing covers or personalizing them. Specialty finishing and custom handwork will make your Bible repair a beautiful and lasting one. What do you need to get your book or Bible repaired? You will need to fill out a repair order form—this can be done in person at out Glen Burnie location or the form can printed, filled out and mailed back to Advantage Book Binding with your Bible. You will need to make decisions about the color and materials you would like to use for your repair—Advantage Book Binding’s helpful staff is ready and willing to assist you in answering these questions. You will need to determine whether you need to keep your original end sheets—for example, someone may have written a note on the end sheet if the book was a gift or notes from Bible study meetings. 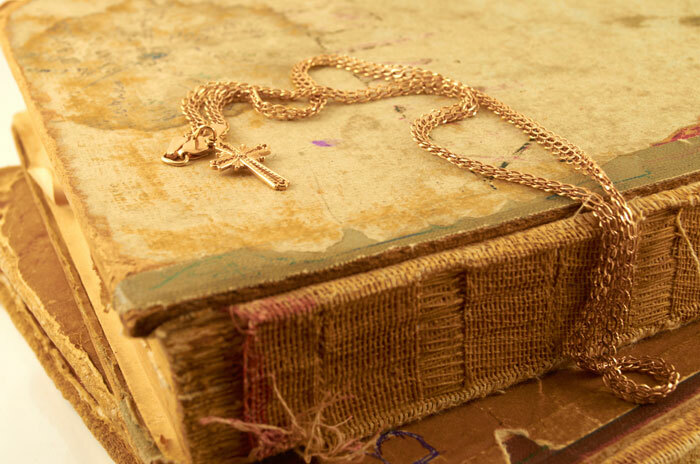 By filling out the paperwork and talking with our knowledgeable staff, you will quickly be able to get a sense of the cost for your book or Bible repair as well as an assurance of our quality workmanship and commitment to taking care of your books.